The Best Business Marketing reaches the right audience when they are ready to spend. The people enjoying the Gold Coast beaches are the exact the audience every company on the Gold Coast wants to reach. 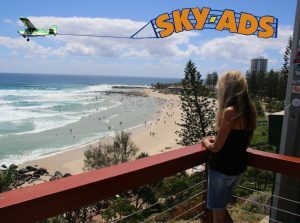 No other advertising media reaches tourists and locals enjoying Gold Coast beaches! Our low flying aircraft towing a sky sign always gets attention. Therefore everybody reacts to your businesses promotion. We often watch as somebody points your message out to their loved ones. What is the best way to advertise on the Gold Coast. The best advertising media on the Gold Coast is the one which reaches the millions of potential customers who enjoy the Gold Coast’s Beaches each year. Biggest Untapped Advertising Market, our beaches! If your business promotion is not flying behind our plane your promotion will never get airborne. Starting at Point Danger in the South past every beach to the Seaway in the North. Look for yourself you can see your customers. They are looking for things to do. All they need is an idea and they will act. Its an average day on the Gold Coast. 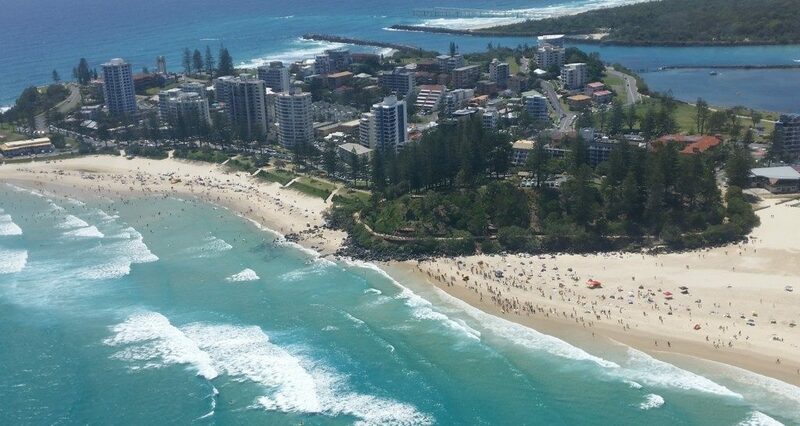 Thousands of people are out and about enjoying the Gold Coast. How do you communicate with this audience? No other broadcast media is in sight. There is no TV or Radio on the beach! Back in the day when Conrad Jupiters Casino first opened SKY-ADS was heavily engaged in the Advertising for the Casino’s launch. 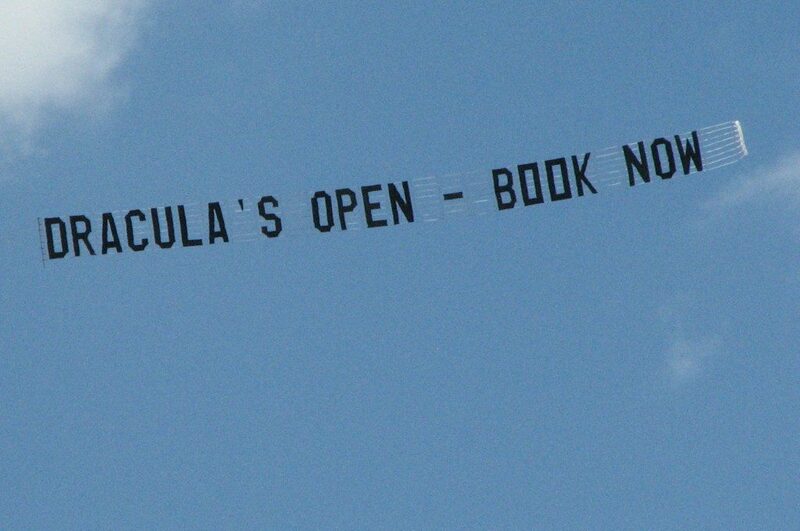 But some of our sky advertising banners were too effective. 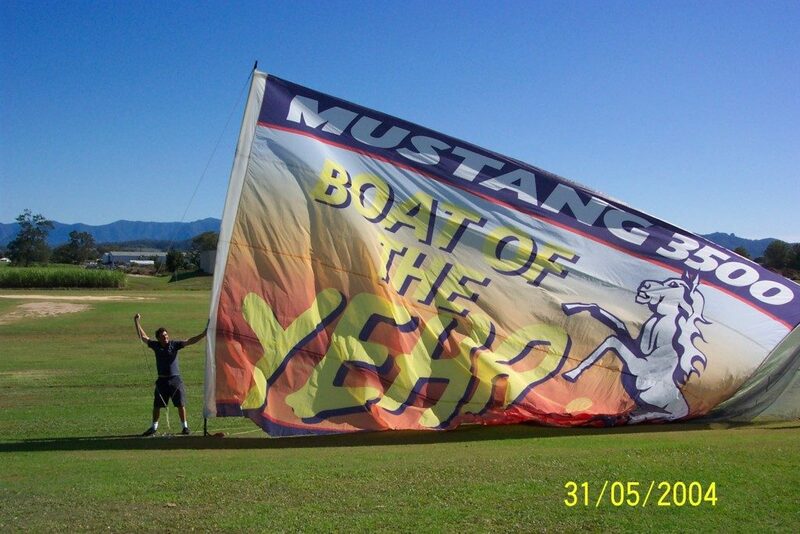 Let us tell you about what happened when we flew the sky advertising banner shown below. At first there was no problem, Jupiters sold lots of lunch buffets. But then the weekend came. Unfortunately on Sunday Jupiters serves a better quality buffet which includes seafood. Sunday Seafood Buffet is its name and it is $22. Can you see the problem? People who had seen the banner on Thursday came in on Sunday expecting a $10 Buffet. So we did not fly this sky banner after Wednesday the following week. But alas the problem persisted. Next week we did our ad only once, on Monday. But even though the flight had happened 6 days ago still the effect of sky advertising was so strong that people were still arriving on Sunday. Some Advertising Campaigns last 20 years. After causing our client some welcome problems by being too effective; A product available every day of the week was the answer. So the Daiquiri Banner was born. We are at a dinner party, we have just meet some new friends. Bob and Carmel. The subject of Aerial Advertising come up in general conversation. Suddenly our new friend Bob becomes very animated. “I would like to get hold of that banner bloke”. he exclaimed. As I took a few steps back somebody else asked “why is that”. Bob then explained that they did not know what a Daiquiri was. But they used to see the plane with the banner behind reading $5 Daiquiris at the casino. So after they have seen Jupiters sky advertising so many times, Bob and Carmel decided to go to the casino to try one for themselves. Consequently after their “Brain freeze” when they were sunbathing on Kirra Beach and we flew past with our Daiquiri banner. It took me several meetings with Bob and Carmel before I admitted that I was indeed the “Daiquiri Banner Man”. Read more success stories and How to create Hot Leads for your Marketing Team in our article How to create Hot Leads for your sales team? How do you get a plane with a sign behind into the air? 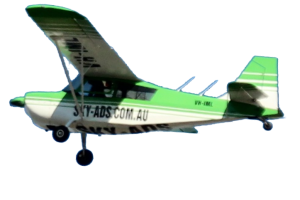 SKY-ADS is the only skywriter in Australia qualified enough to perform the challenging Ground Launch method of getting a Flying Sign airborne. Our experience is your gain. In other words your Outdoor Advertisement is up and flying as soon as we take off. Therefore you get every second of exposure that you have paid for.